What’s Your Modern Mom Persona? Join the Expo Modern Mom Contest and Win Prizes! Here’s another contest brought to you by Expo Mom. What modern mom persona am I? 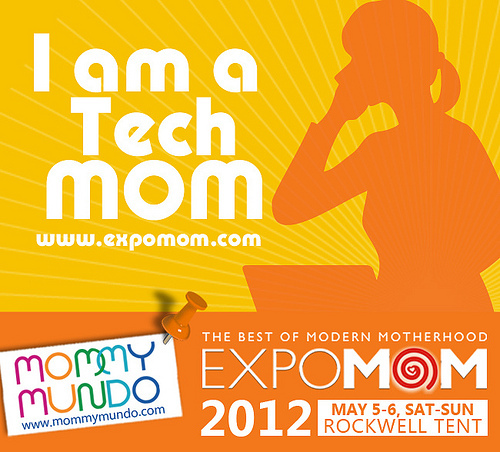 I’m a mom-preneur and a Tech Mom. What do you think is your modern mom persona? Join the contest and win lots of prizes! Simple Bundles of Joy will be participating and will be giving 1 lucky mom a FREE belly bandit. Check out the contest details below. We invite you to CELEBRATE MODERN MOTHERHOOD WITH US! 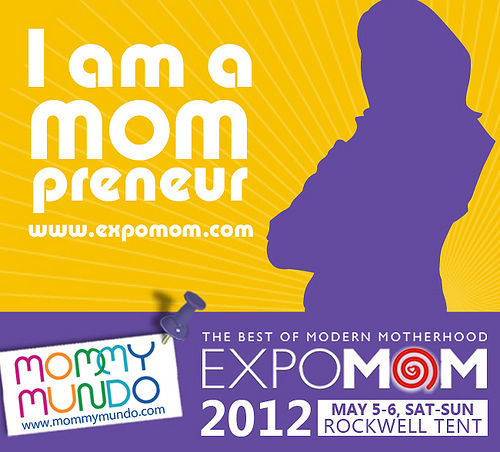 :) Grab one of our modern mom badges or visit the Mommy Mundo Facebook page and join our Expo Mom Modern Mom Contest! All modern mamas and moms-to-be! *All participants must have a Philippine address. *Winners will be chosen via random.org on may 9. Announcement will be made on or before may 11, 2012 at the Mommy Mundo FB page and website. 2) EVERYONE who joined the badge tagging promo above will also be entitled to a PICK A PRIZE at Expo Mom on May 5 and 6 at the Rockwell Tent. Presence at Expo Mom is required for this pick a prize promo, so do come!! Gifts and samples from Expo Mom sponsors namely Sweet Baby, Cycles, Anmum, Cradles, and more….! 1) Like the Mommy Mundo Facebook page here. BONUS step! Do this step and get 1 additional raffle point! 1) Follow Mommy Mundo on Twitter here. 7) Leave a comment below with your complete name, facebook and twitter names (if you did the bonus step), and your email address. 1) Each person can only join once. Multiple entries are automatically disqualified. 2) Prizes will be sent via courier. 3) Winners will be notified via email thus it is the winner’s responsibility to reply to emails regarding mailing details of the prizes. 4) Deadline for Winners who are not reachable on or before 6 months from announcement date automatically forfeit the prize. Join now modern mamas and Hope to see you at Expo Mom, now a 2-DAY EVENT, on May 5 and 6, Saturday and Sunday at the Rockwell Tent! Tags: Expo mom contest, Free Belly Bandit, Simple Bundles of Joy, What's your modern mom persona?